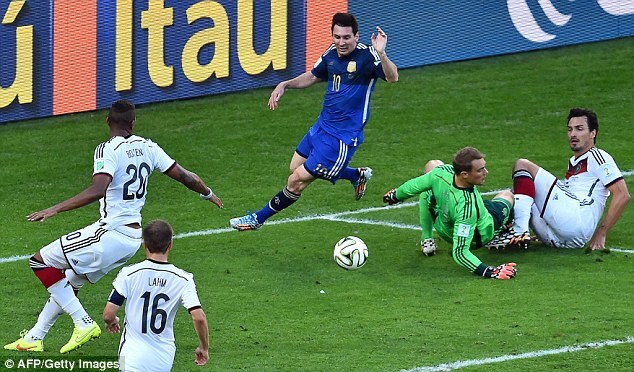 Germany 1 Argentina 0 – Die Mannschaft end La Albiceleste’s Dreams! Blazing Cannons is proud to partner with Blogmint, for its competition, Bloggers World Cup. Germany won the World Cuo for the 4th time at the expense of Lionel Messi and Argentina, with a late heartbreaking goal from Bayern Munich’s Mario Gotze. In a match billed as the best attacking force of the tournament in Germany against the best defensive unit in Argentina, the match panned out to be a 120 minute battle of guts, passion and industry under balmy conditions at the iconic Maracana stadium. 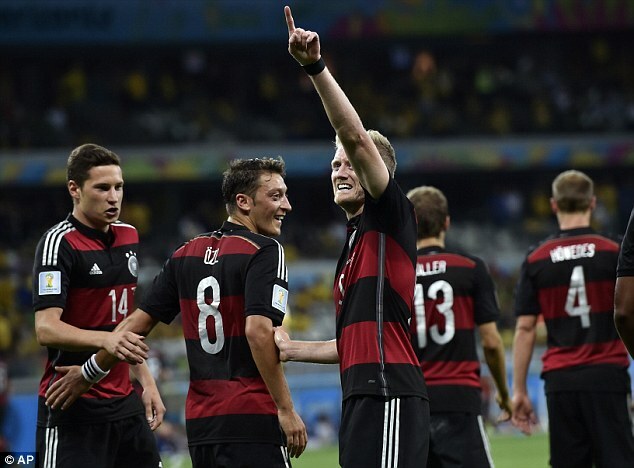 It will be a momentous occasion for a German side, that has come so close in recent international tournaments. Germany were dealt an early blow as Sami Khedira was ruled out due to a knock he took during warm up, which meant a first start for Borussia Moenchengladback midfielder Christoph Kramer. Argentina had no concerns with their selection process, apart from the injury to Real Madrid star Angel di Maria, which ruled him out from the semi-final win over Netherlands as well. 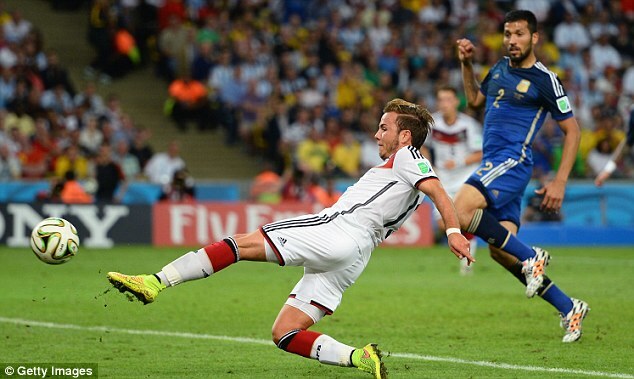 The first chance of the match fell to the Argentine’s, when Gonzalo Higuain almost capitalized on a wayward header by Toni Kroos. With only Neuer to beat, the Napoli forward’s effort was poor, and he dragged his effort wide, under pressure from Mats Hummels. Higuain, however thought he had redeemed himself after putting the ball in the back of the net, after a right wing cross from PSG winger Ezequiel Lavezzi. He was called back for offside, even though he had already wheeled off in celebration. Germany enjoyed majority of the possession, but it was Argentina who seemed to be creating the better chances. The immense Jerome Boateng had to make a vital clearance, after the pacy Messi almost set up one of his teammates for a shot on target. Germany were dealt a blow when Christoph Kramer, in for Sami Khedira on the night, took a knock, and had to be replaced. Surprisingly, Joachim Low decided to replace him with a forward, in Chelsea’s Andre Schurrle. The Blues forward almost stamped his arrival in the game with a goal, a sharp effort which required in-form Argentina keeper Sergio Romero to make a vital save, with Arsenal’s Mesut Ozil blocking his line of view. The last chance of the first half was when Schalke 04 left-back Benedikt Howedes’ header off a Kroos corner struck the woodwork, leaving Romero with no chance. Lionel Messi could have scored what would have been the winner in the second half, but his effort on his normally dangerous left foot, was a tame one. 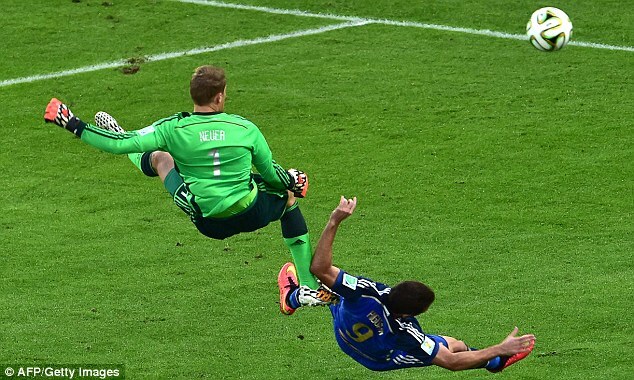 In a match riddled with physical challenges, Manuel Neuer almost did a Harald Schumacher on Gonzalo Higuain, with a dangerous jump to punch away the ball, in the 56th minute. Mesut Ozil then set up an onrushing Toni Kroos with an effort to put the ball behind the net, but the Bayern man’s effort was wide. Higuain was replaced by Inter’s Rodrigo Palacio in the 78th minute, and he had a chance to put his side ahead in extra time, but his first touch was poor, and Germany managed to avert the danger. 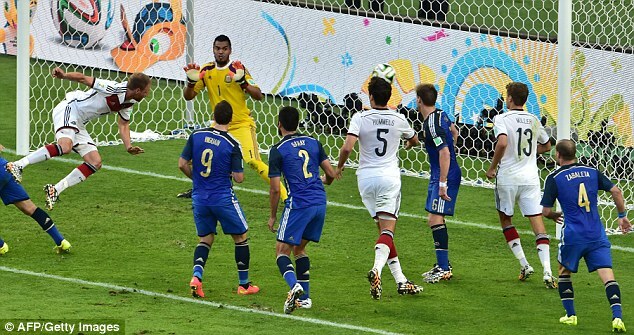 The sucker punch came in the 113th minute, as Andre Schurrle made his way past Argentine pressure to deliver a perfect cross to Mario Gotze, who chested the ball with perfection, and put it in the back of the net, leaving Romero with no chance. 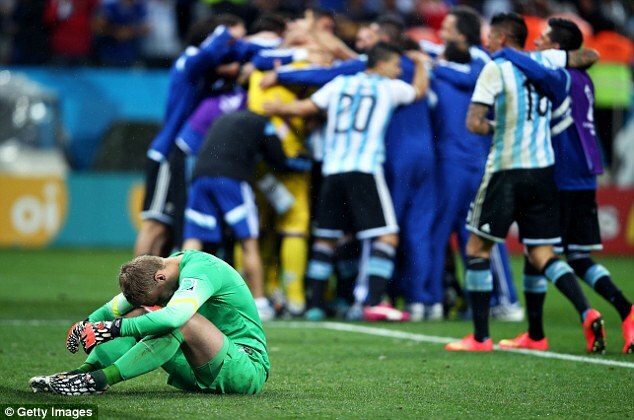 As the German’s wheeled away in delight, Argentina’s players collapsed all around them. It was too little, too late. 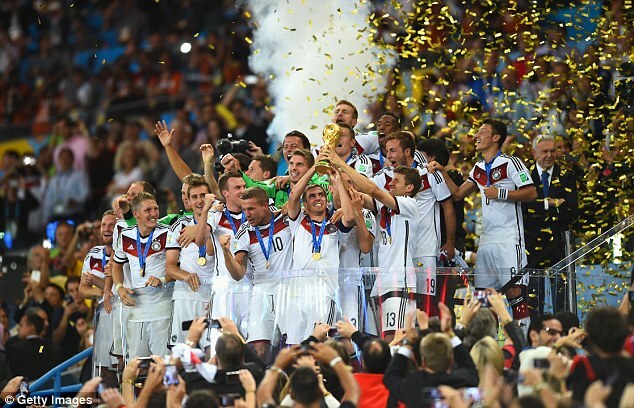 Germany secured their 4th World Cup win, to put a 18 year old wait for an international trophy to an end. With German chancellor Angela Merkel, football legends Pele, Michel Platini and Lothar Mathaus (you may have noticed I didn’t mention David Beckham. It’s intentional) and dignitaries such as Vladimir Putin present, it was a star-studded end to a fantastic tournament. Manuel Neuer picked up the Golden Glove and a crestfallen Lionel Messi the Golden Ball, before the moment Germany have been waiting for so long arrived, as Philip Lahm lifted the World Cup trophy in front of a packed Maracana. The party continued into the night for the German fans, who stayed till late to enjoy the celebrations, but for the Argentine faithful, it was a painful trip back home, having come so far. This win also ended Europe’s jinx in World Cups held in South America, and also marked the succesful completion of an overhaul of the German youth system, since the Euro 2004 debacle, which saw them crashing out in the Group stages. To watch highlights, video on demand, fun moments, skills & dribbles, and live streaming of the FIFA World Cup 2014, visit livsports now! 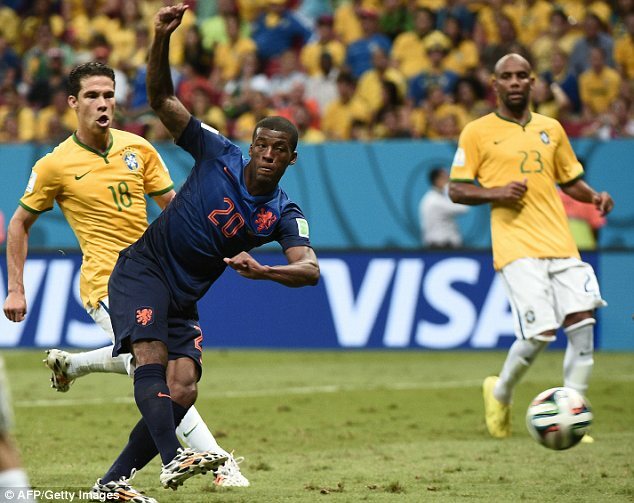 Brazil 0 Netherlands 3 – Selecao humbled, Again! Brazil crashed to another painful defeat in front of their home fans in the space of a week, as Netherlands secured 3rd place at the Estadio Nacional, Brasilia. Despite the 7-1 thrashing meted out to them by Germany, interest hadn’t wavered, and there were hordes of fans all over the country lining up at fan miles to watch the games. In Brasilia, the team was cheered as they trained before the match, while the loudest cheer was reserved for Barcelona star Neymar. There, however were loud boos when the names of Luiz Felipe Scolari and striker Fred were blurted out as the teams were being announced. Thiago Silva returned to the squad after completing his suspension, while a 3rd PSG defender in left-back Maxwell also got a start ahead of Real Madrid’s Marcelo. Luiz Gustavo was preferred to Fernandinho to play alongside Paulinho in the centre of midfield, while Atletico Mineiro forward Jo, formerly of Manchester City; Willian and Ramires of Chelsea, too were handed starts in a series of changes made by Luis Felipe Scolari. van Gaal started with Feyenoord midfielder Jordy Claise instead of the injured AC Milan hardman Nigel de Jong and Swansea’s Jonathan de Guzman. After a national anthem delivered with passion, Brazil were quickly undone as captain Thiago Silva pulled Robben, and the referee had no option but to award the Dutch a free kick. Robin van Persie made no mistake from the spot, to score his first goal since the group stages. The mood at the stadium changed suddenly, fearing a repeat of the previous game. Their fears started getting stronger, as Netherlands raced to a 2-0 lead, just 13 minutes later, as David Luiz’s clearance fell straight to enterprising midfielder Daley Blind’s feet. The Ajax man made no mistake as his shot hit the roof of the net. There was however little response from the home side as the well drilled Dutch made life tough. Despite some reasonably good attacking moves, Brazil failed to create a single chance of substance in the first half and were booed as they trudged their way back to the dressing rooms. Both teams looked content at playing out the second half, with a largely irritant crowd booing whenever Scolari’s face appeared on the big screen. There were few sparks though, as Ramires’ shot flew wide, before Oscar was booked for diving, a decision that could have gone either ways. Netherlands, however completed the rout in injury time, as PSV’s attacking midfielder Giorginio Wijnaldum completed the rout. It was a happy ending for a Netherlands side that promised so much at the start of the tournament, but were undone by Argentina’s solidity, but for Brazil, it will be another painful defeat in a harrowing defeat for their players and fans alike. To make matters worse, they will have to endure watching their fierce rivals Argentina face off their tormentors Germany at the iconic Maracana. 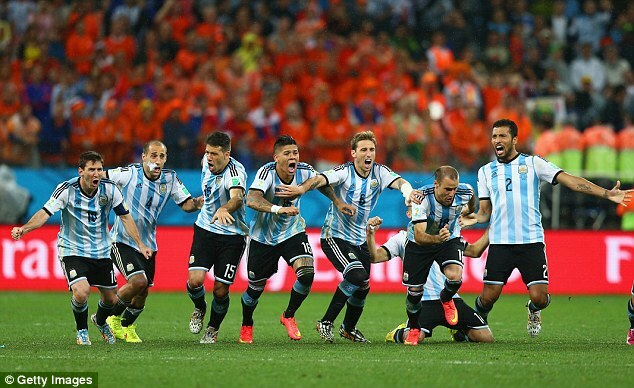 Netherlands 0 (2) Argentina 0 (4) – Messi and Co. progress to Final! 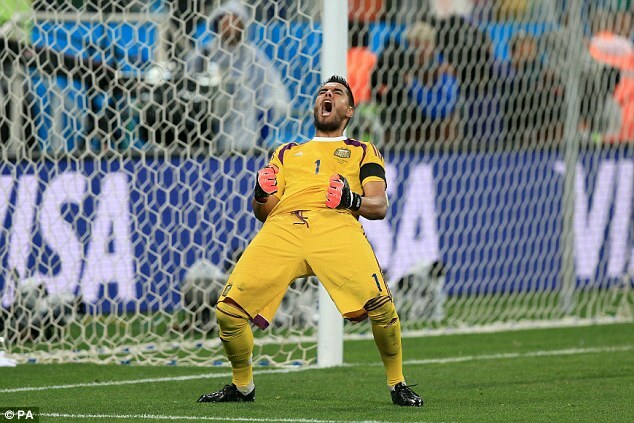 Argentina set up a World Cup final date with Germany, after a penalty shootout win against Netherlands in Sao Paolo. Goalkeepers were again at the centre of attention after a rather monotonous 120 minutes of football. Robin van Persie passed a late fitness test, but Sergio Aguero wasn’t fit enough to start. PSG’s Ezequiel Lavezzi kept his place in the Argentine frontline. Argentina’s big miss was Real Madrid’s Angel di Maria, and Benfica’s Enzo Perez replaced him. Argentina have relied on a solid defence and some rare moments of magic from Messi to reach the semi-final, and that set the tone of the game. Netherlands looked stifled all over, as the trio of Robin van Persie, Wesley Sneijder and Arjen Robben failed to deliver the magic that made them the toast of the earlier stages of the tournament. 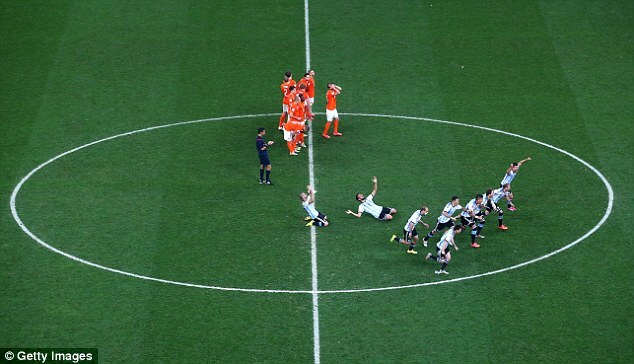 Despite Argentina’s fine defensive play, just like the Dutch, they failed to offer anything tangible upfront. Aston Villa centre back Ron Vlaar was impressive throughout. Louis van Gaal employed AC Milan midfield hardman Nigel de Jong to mark Lionel Messi, and that tactic was clear from the start as the Barcelona man failed to make any inroads into the Dutch defence. Messi did provide the only highlight of the first half, when his freekick was comfortably saved by Cilessen, after Vlaar had fouled Perez. Argentina’s defensive solidity can be highlighted by the fact that Arjen Robben got a touch of the ball only 4 times in the opening 45 minutes. As rain poured down heavily, chances were few and far between. 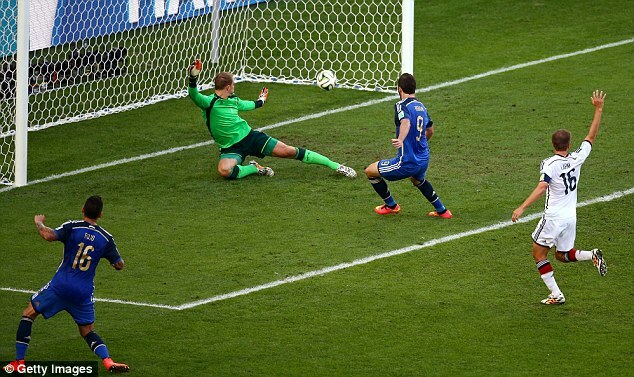 Gonzalo Higuain missed a chance to put the Argentinians ahead, as he could only side net a cross from Enzo Perez. Alejandro Sabella sent on Manchester City striker Sergio Aguero and Inter forward Rodrigo Palacio in place of Gonzalo Higuain and Enzo Perez, with 10 minutes left, but Argentina still lacked the cutting edge. van Gaal replaced the toothless van Persie with Schalke forward Klaas Jan Huntelaar in an attempt to reshuffle the forward line. Netherlands produced their first shot on target on 99 minutes, when Arjen Robben tested Sergio Romero, who rather made an easy save. Cillessen made some quickfire saves from Palacio and Maxi Rodriguez before the game finally descended into penalties. 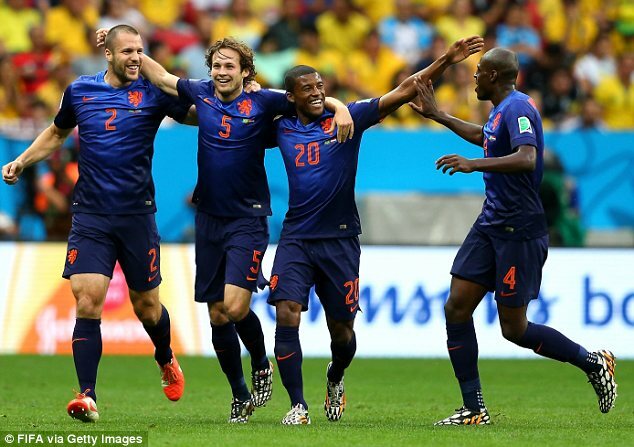 Ron Vlaar and Wesley Sneijder missed their penalties, while Argentina were bang on target with theirs. The Netherlands campaign, which started with a 5-1 win over reigning champions Spain, ended on a rather dull note against a resurgent Argentina side. 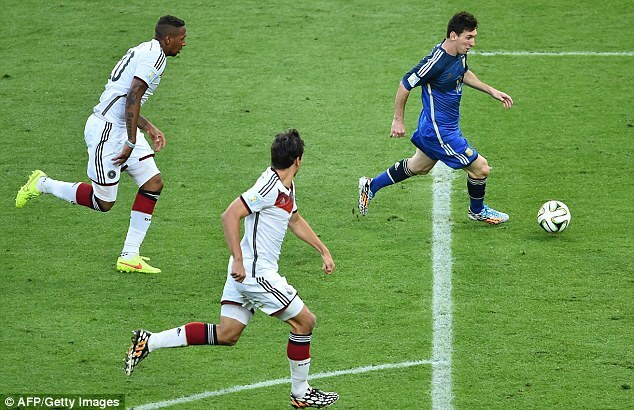 Argentina, now will face Germany in the final. 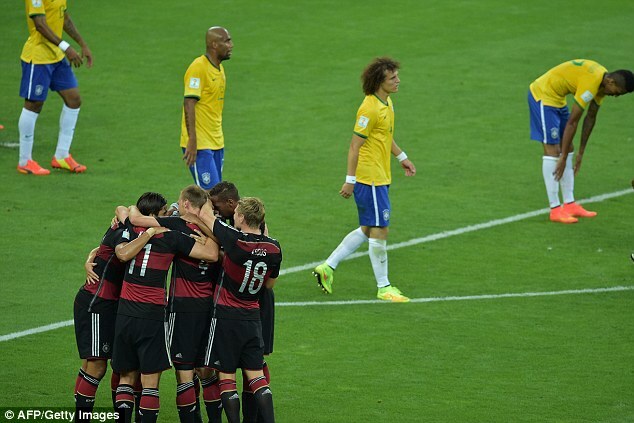 Brazil 1 Germany 7 – Mann -Slaughtered! It was a day of destruction and humiliation in Belo Horizonte as Brazil were crushed to pieces by a ruthless German side 7-1 in front of their own supporters. On a night that was supposed to be a clash between a formidable European footballing power and South America’s traditional best, Brazil and their fans were left in tatters, a shocking result which will take some recovery from. With star striker Neymar injured, and facing a long injury layoff, and captain Thiago Silva suspended, Brazil turned to Bayern Munich centre back Dante and Shakhtar Donetsk’s attacking midfielder Bernard as replacements. 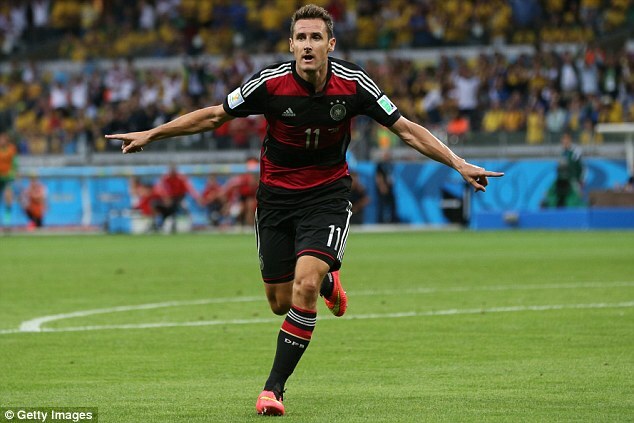 Miroslav Klose started for Germany, and he needed just one goal to become the all time leading scorer in World Cup history, breaking Brazilian Ronaldo’s record of 15. Germany were ahead after 11 minutes, through Bayern Munich’s Thomas Muller as he tapped in from a corner, with Brazil’s defenders offering little obstacle. After 12 minutes of holding out, Brazil crumpled in the space of 6 minutes, as the Germans parked their artilerry in Brazil’s half and pounded them all over. Mirolsav Klose was the beneficiary of a fine passing move, and he scored in his second attempt, after Julio Cesar had saved his first effort. 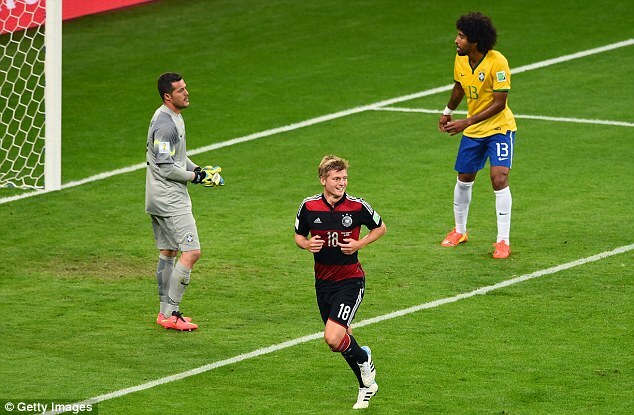 Toni Kroos scored less than a minute later, with a fine left footed drive that beat QPR goalkeeper Julio Cesar completely. Sami Khedira then played his part in the 4th goal by setting up Kroos again. 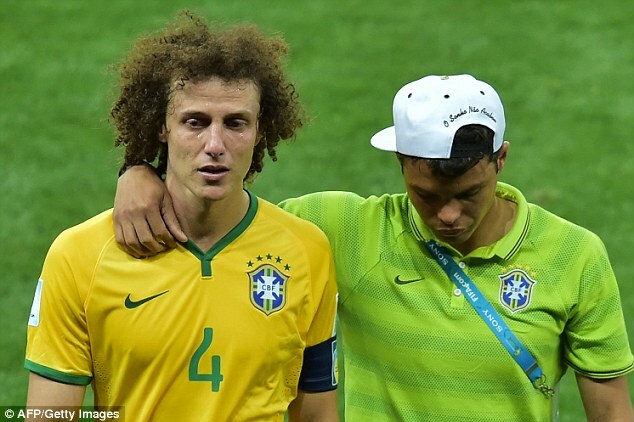 David Luiz was constantly being booed by the home fans as he wandered forward, far too often, shunning his defensive responsibilities. Khedira got his goal, 3 minutes later, with a goal that seemed so easy. He linked up with Mesut Ozil, and the two rarely looked troubled. 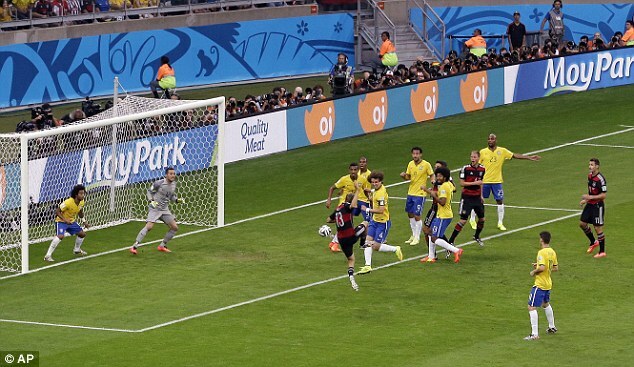 Brazil were completely demolished with only 29 minutes gone. The mood at the stadium had turned into one of complete shock and disgust, as players started to break down on the field. Half time bought a bit of respite and a chorus of boos. Striker Fred was subjected to special vicious treatment for his own fans. Brazil started the second half well, forcing Neuer into a couple of saves, before Germany continued with their steamrollering effort, as Chelsea forward Andre Schurrle finished off a simple passing move. 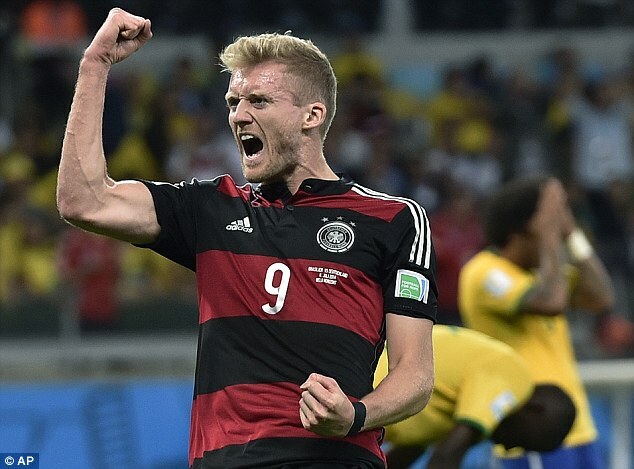 10 minutes later, Germany had reached seventh heaven, with a sweet left footed strike from Schurrle again. The fans around the stadium now were cheering every German goal, a real low point for Brazilian football. 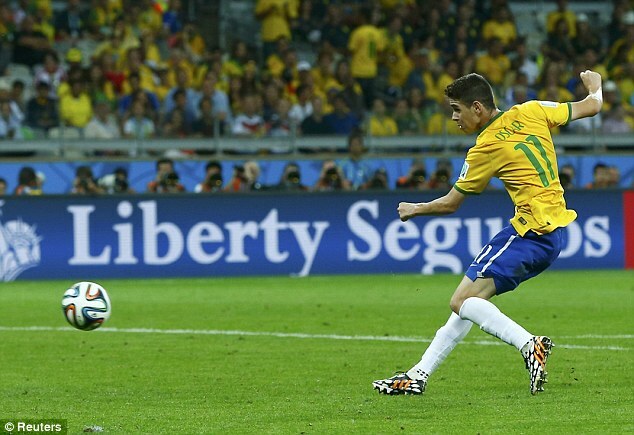 Brazil did manage a goal late on, with Oscar scoring, but it was nothing but consolation. 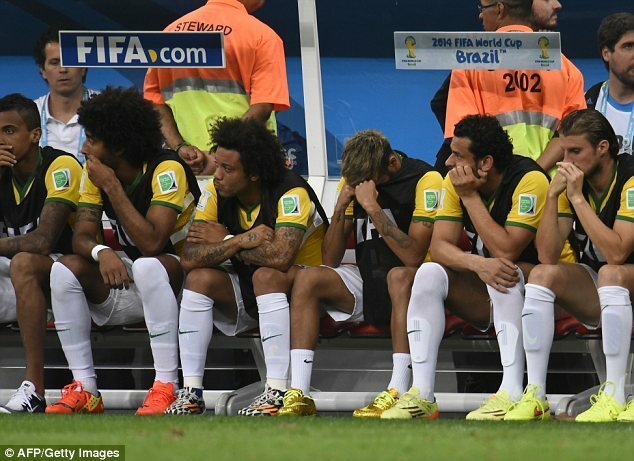 Brazil’s World Cup dream had ended in complete and utter disarray. This equalled their worst defeat, a 6-0 loss to Uruguay in 1920, and this defeat will definitely rank as one of the darkest days of Brazilian football, after the 1950 World Cup Final loss to Uruguay. Germany recorded the biggest margin win in semi-finals, after West Germany’s thrashing of Austria, 6-1 in the 1954 World Cup. This also marked the first time when more than 8 goals were scored in a World Cup game, 12 years after Germany had beaten Saudi Arabia 8-0. While Germany can now prepare for a final with Argentina, Brazil hope to achieve some respect as they face off Netherlands in the 3rd place playoff. Netherlands 0 (4) Costa Rica 0 (3) – Krul Exit for Navas & Co.
Netherlands progressed to the semi-finals the hard way, after beating heroic Costa Rica on penalties in the final quarter final game in Salvador. Nigel de Jong was ruled out due to injury and was replaced by PSV Eindhoven midfielder Georginio Wijnaldum. Costa Rica named the same squad that knocked out Greece on penalties in the previous round. Costa Rica, spearheaded by Arsenal’s Joel Campbell and Fulham’s Bryan Ruiz have boasted a strong defensive record in the World Cup, and it took a Netherlands team, consisting of van Persie, Robben, Sneijder and Kuyt 21 minutes to have their first attempt on goal. A cross from Kuyt landed at the feet of Memphis Depay who set up Manchester United striker van Persie, but it was saved by the brilliant Keylor Navas. The rebound from Sneijder too was saved by the Costa Rican goalkeeper. Navas thwarted another effort from Depay, after he was released by van Persie. 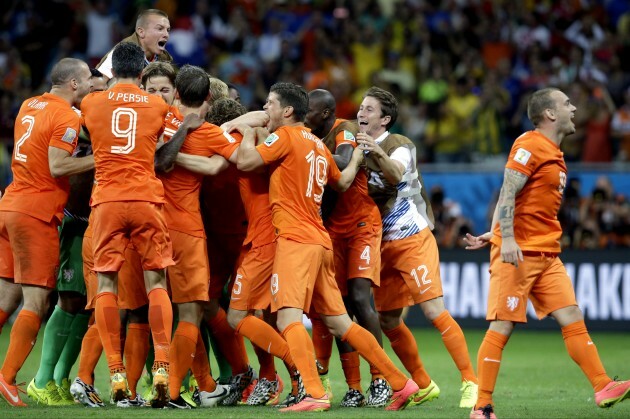 Costa Rica were stifled by a technically superior Netherlands side. They had to rely on long shots and freekicks. Christian Bolanos, the deadball specialist set up two chances, the first too high for Celso Borges to connect with and the second one he connected and sent it across goal, but Johnny Acosta failed to give it the finishing touch. Navas came to Costa Rica’s resuce again when he prevented a Wesley Sneijder free kick from creeping into the top corner. Another free kick was headed over by Giancarlo Gonzalez, under pressure from Aston Villa’s Ron Vlaar. Vlaar then skied his own effort off a Sneijder freekick. Navas was proving to be a menace to the Dutch, and the rare times he failed to make a save, the post came to Netherlands’ rescue, as Sneijder’s freekick struck the woodwork. 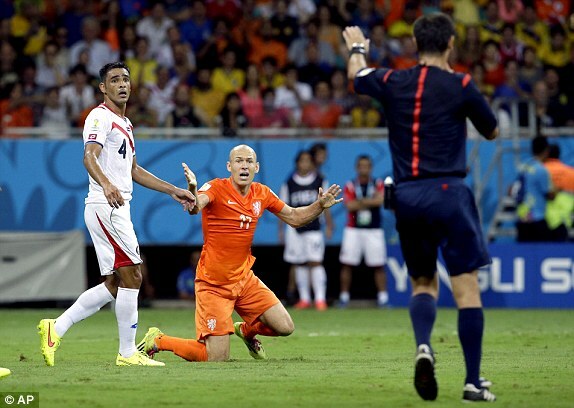 Moments later, van Persie’s shot from a Sneijder pass was turned away by Navas. Another effort from van Persie was deflected on to the post by defender Yeltsin Tejeda. 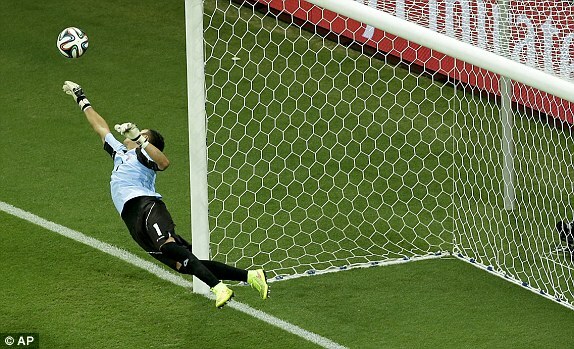 In extra time, a Vlaar header was thwarted away by Navas. Costa Rica found some energy in the dying moments, and almost won a penalty appeal after Marcos Urena was bought down by Vlaar. Urena then tested Ajax keeper Jasper Cillessen with a stinging shot. Louis van Gaal played a late masterstroke, bringing Newcastle keeper Tim Krul on instead of Jasper Cillessen, as the match was destined to go to penalties. Borges scored his, before Bryan Ruiz and Umana had theirs saved. The Dutch were prolific with their penalties, van Persie, Robben, Sneijder and Kuyt all scoring. It was a sad end for the brave Costa Ricans, but Netherlands will be more than pleased to have made it to the semi-finals against Lionel Messi’s Argentina.